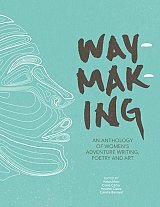 Waymaking is an anthology of prose, poetry and artwork by women who are inspired by wild places, adventure and landscape. Published in 1961, Gwen Moffat's Space Below My Feet tells the story of a woman who shirked the conventions of society and chose to live a life in the mountains. Some years later in 1977, Nan Shepherd published The Living Mountain, her prose bringing each contour of the Cairngorm mountains to life. These pioneering women set a precedent for a way of writing about wilderness that isn't about conquering landscapes, reaching higher, harder or faster, but instead about living and breathing alongside them, becoming part of a larger adventure. The artists in this inspired collection continue Gwen and Nan's legacies, redressing the balance of gender in outdoor adventure literature. Their creativity urges us to stop and engage our senses: the smell of rain-soaked heather, wind resonating through a col, the touch of cool rock against skin, and most importantly a taste of restoring mind, body and spirit to a former equanimity. 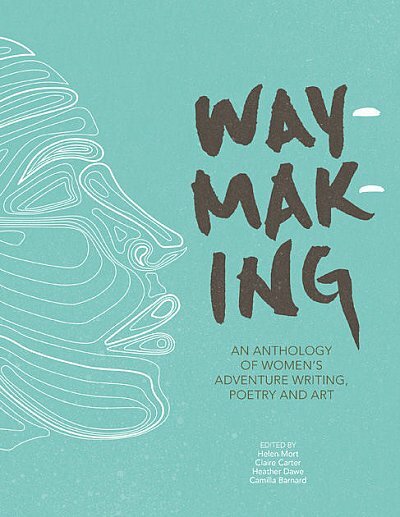 With contributions from adventurers including Alpinist magazine editor Katie Ives, multi-award-winning author Bernadette McDonald, adventurers Sarah Outen and Anna McNuff, renowned filmmaker Jen Randall and many more, Waymaking is an inspiring and pivotal work published in an era when wilderness conservation and gender equality are at the fore.